American Girl® Expands into Mexico | Mattel Inc.
MIDDLETON, Wis.--(BUSINESS WIRE)-- American Girl, a division of Mattel, Inc. (NASDAQ:MAT), today announced its expansion into Mexico in partnership with El Palacio de Hierro, Mexico's largest and best-established high-end retailer. The first two American Girl shop-in-shop boutiques will open in summer 2015 at El Palacio de Hierro's Perisur and Interlomas locations in Mexico City, followed by a third boutique at the Polanco location in fall 2015. 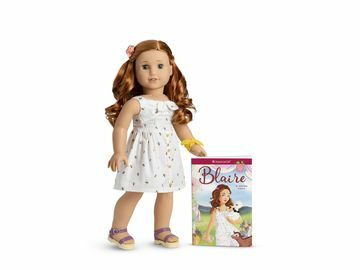 "For nearly 30 years, American Girl has been celebrating and encouraging girls to be their best with high-quality dolls and engaging books and entertainment. Today, we're thrilled to bring the American Girl experience into Mexico—our second international location—and inspire a whole new group of girls to stand tall, reach high, and dream big," said Jean McKenzie, executive vice president of American Girl. "We're equally enthusiastic about partnering with such a well-respected retailer as El Palacio de Hierro. Its rich heritage and positive reputation for creating premium experiences offers an ideal way to introduce American Girl to girls and their families in Mexico." "We are excited to become American Girl's exclusive partner for the Mexican market, launching for spring 2015. We have an aggressive growth strategy for the next years, launching not only shop-in-shop boutiques but a whole experience for the Mexican girls. I truly believe that the American Girl concept and its exceptional value will resonate with the Mexican consumer," said Ernesto Izquierdo, commercial director from El Palacio de Hierro. 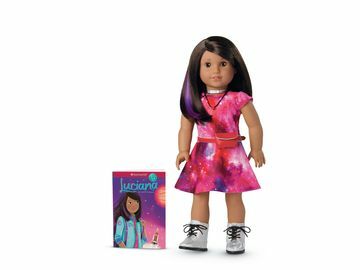 My American Girl—the contemporary 18-inch doll line anchored in personalization, which allows girls to select a doll from various combinations of skin tone, eye color, and hair color and style. The line also features an assortment of doll accessories to enhance the play experience. Girl of the Year—launched annually, each 18-inch Girl of the Year doll comes to life through original stories, a direct-to-video movie, plus several outfits and accessories that reflect the interests and activities of today's girls. The shop-in-shop boutiques will also carry a selection of the company's popular Dress Like Your Doll clothing for girls, as well as a variety of best-selling American Girl books, which will be translated into Spanish. Fans will also be able to treat their dolls to a new hairstyle at the signature Doll Hair Salon, plus enjoy girl-and-mom-friendly events and programs throughout the year. The new American Girl shop-in-shop boutiques at the Perisur and Interlomas locations are slated to open in summer 2015, followed by the Polanco location in fall 2015. Future announcements about grand-opening dates will be made as schedules are finalized. American Girl is a premium brand for girls and a wholly owned subsidiary of Mattel, Inc. (NASDAQ:MAT, www.mattel.com), the worldwide leader in the design, manufacture and marketing of toys and family products. Since its inception in 1986, American Girl has been devoted to celebrating girls ages 3 to 12 through age-appropriate, high-quality dolls and accessories, books, clothes, movies, and unforgettable experiences. Best-selling lines include My American Girl®, Girl of the Year®, Bitty Baby®, and its classic historical characters with BeForever™. Headquartered in Middleton, WI, the company's products are sold exclusively through its award-winning catalogue, on americangirl.com, and in its experiential retail stores. By inspiring girls to be their best, American Girl has earned the loyalty of millions of girls and the praise and trust of parents and educators. To learn more about American Girl or request a free catalogue, call 1-800-845-0005 or visit www.americangirl.com, www.facebook.com/americangirl, or www.twitter.com/american_girl.